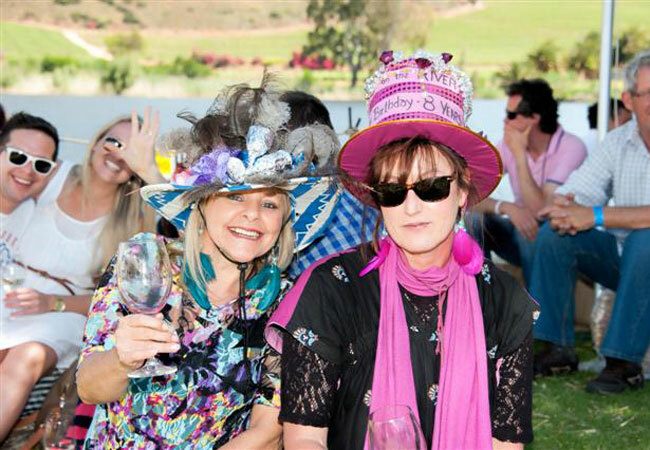 Annual Festivals / Food & Wine in or near Robertson, Breede River Valley in the Western Cape, South Africa. Taking place on the banks of the Breede River, the Robertson Wine on the River invites to you to the valley! Come and taste over 300 of the most excellent wines brought to you from 42 different wineries. Enjoy the atmosphere with friends and family and let the kids have a fun filled day in good weather and beautiful surroundings. Listen to live music, browse through the arts & crafts lane, enjoy lunch in this beautiful setting or sample any of our local produce on show. Wine sold on site @ cellar price.